All Terrain Vehicle (ATV) Program: Participants learn how to safely operate an all-terrain vehicle (ATV). Focus is on safety with a hands-on component each lesson to practice skills. C.O.P.E. : Are you ready for your Challenging Outdoor Personal Experience? C.O.P.E. is a course which helps young adults develop self-confidence, leadership, and teamwork. Participants rotate through 19 high and low-ropes stations, each of which presents a new challenge for the group to work through. Climbing: Participants learn the fundamentals of rock climbing and get to develop and practice their skill's on camp's 30-foot COPE/climbing tower. Boy Scouts completing this program will be eligible to earn Climbing Merit Badge. Ecology: Learn the principles of ecology and spend each morning in the field conducting ecological investigations. Monday evening session required to prepare for field work on Tuesday. Participants who successfully complete the program will be eligible for the Ranger Ecology elective. Leave No Trace Trainer: Learn the principles of Leave No Trace with an emphasis on teaching them to others. Discussion, games, and hands-on skill instruction will be used. Overnight experience required. Participants who successfully complete the course will be certified as Leave No Trace Trainers. Hemlocks or Quarry Hike: Hike the beautiful Broad Creek trails with a staff guide. The Hemlocks Hike has an emphasis on forestry and will visit the champion hemlock tree; the Quarry Hike has an emphasis on geology and will visit the historic Broad Creek serpentine Quarry. Broad Creek Trails Hike: Hike the beautiful Broad Creek trails with a staff guide. All 25 miles of the red and yellow trails will be hiked over the two days, and participants who complete both days will be eligible for the Broad Creek Trails award. Lunch will be provided on the trail. Conservation Projects: Participants will get their hands dirty performing various conservation projects around camp. Wilderness First Aid: American Red Cross Wilderness First Aid Training. Participants who successfully complete the course will receive a Wilderness First Aid certificate valid for two years. First Aid/CPR/AED: The Adult First Aid/CPR/AED course incorporates the latest science and teaches students to recognize and care for a variety of first aid emergencies such as burns, cuts, scrapes, sudden illnesses, head, neck, back injuries, heat and cold emergencies and how to respond to breathing and cardiac emergencies for victims about 12 years and older. Participants who successfully complete the course will receive an Adult First Aid/CPR/AED certificate valid for two years. Hiking Outpost: Take an extended hike on the scenic Broad Creek trails and camp overnight under the stars. Dinner and breakfast will be provided on the trail. Canoeing Outpost: Take a short canoe trip up Broad Creek and camp under the stars on the riverbank. Participants will return to camp in time for breakfast. Must be classified as a Swimmer. LNT Outpost: Leave No Trace backcountry camping. Held in conjunction with LNT Trainer outpost. Lifesaving: Participants learn lifesaving skills and have an opportunity for hands-on practice of techniques. 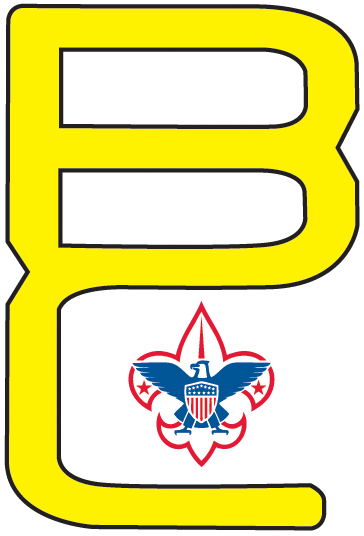 Boy Scouts completing this program will be eligible to earn Lifesaving Merit Badge. Participants should be strong swimmers and in good physical shape. Mile Swim: Can you swim a whole mile? Test your skills by trying for 36 laps in the swimming pool. Participants should plan to spend at least four hours previously during the week at free swim in order to train and prepare for distance swimming. Free Swim: Swim laps or just cool off and relax. Wilderness Survival: An intense, week-long course teaching wilderness survival skills, including cooking, fires, and navigation. Participants who complete the course will have completed the Ranger Wilderness Survival requirement. Participants must have completed the Cooking, First Aid, and Land Navigation Ranger requirements. Land Navigation: Learn how to use a map and compass and GPS for navigation. Every afternoon will be spent in the field on orienteering courses around camp. Wednesday night is required to complete the GPS course. Participants completing the program will be eligible for the Land Navigation Ranger requirement. Woodcraft Camping Skills: Series of camping skills sessions, including both skills instruction and fun activities to apply the skills. Participants can choose to take a sequence of courses or just attend sessions of interest. Fires: How to properly build, light, and extinguish a fire. Forrest fire fighting techniques. Sharp Stuff: Knife, axe, and saw use. Navigation: Map & compass use. How not to get lost in the woods. Knot Tying: Whippings, lashings, and other knotty things. Pioneering projects. Decorative knot tying, including paracord bracelets. Shooting Sports Award: Participants will learn to shoot a variety of firearms, including .22-caliber rifle, 20-gauge shotgun, and air pistol as well as bow and arrow. Focus is on developing skill and accuracy. Participants completing this program will be eligible to earn the Venturing Shooting Sports Award. Free Shoot: Shoot a bow & arrow, .22-caliber rifle, or 20-gauge shotgun. Shooting technique, arrow making & repair, gun safety, and gun cleaning instruction available upon request. No shooting experience necessary. Participants who have good accuracy may be eligible for the Shooting Sports Ranger elective. Pistol: Shoot a .22-caliber or 9mm pistol. Safety course required immediately prior to shooting. Sailing: Learn how to operate a sailboat. Participants will have ample opportunity to practice their skills sailing on the Conowingo Pond. Boy Scouts completing this program will be eligible for Small Boat Sailing Merit Badge. Must be classified as a Swimmer. Aqua Trek: Participants will venture out on a different mini-trek each afternoon taking place on the waterways and islands around Broad Creek Memorial Scout Reservation. Treks include canoeing, kayaking, and sailing. Must be classified as a Swimmer.